Have been working on a poster for the Rio Olympics for my old newspaper the South China Morning Post. Basically it's caricatures of the top contenders for gold medals for the upcoming games. 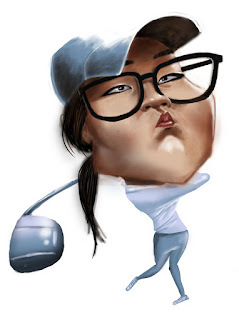 It comes out next week but here's a sneak preview of Lydia Ko.